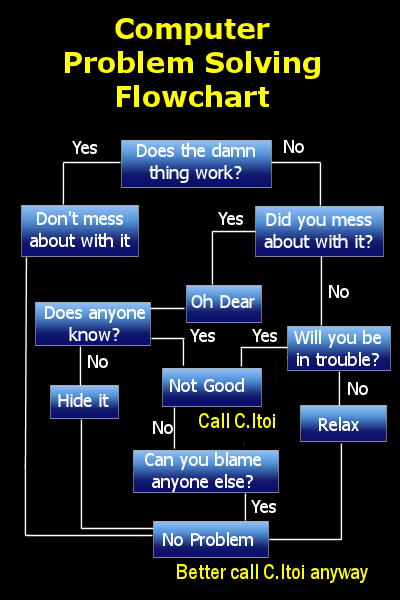 If you have a computer problem please feel free to use the flow chart opposite to help you fix the problem. Very affordable prices with no call out charge. Copyright © 2000-2013 C.Itoi Ltd. All rights reserved.